"Used best for visualizing changes"
You can get random samples or set up "triggered" recorded sessions in combination with heat maps. Neither of these functionalities are unique to Clicktale, but if it's in your budget, this is the way to go. It's really pretty. Sounds like a positive right? Well, you have to be careful with reports that look to pretty. Stakeholders can take it as an absolute truth about how all users interact with your website. I recommend not sharing video recordings, and only sharing heatmaps/clickmaps (some stakeholders don't understand the term heatmaps as easily as clickmaps) to reveal how interaction with your website may or may not have been affected by a recent change to your website. Again, don't rely on clicktale to define problems, especially because you don't see exactly what users see in recordings. Use it to support your own expertise. I always recommend finding demos or how to's on YouTube before purchasing any software or online service. Get a glimpse at the user interface and see the types of tasks people are actually trying to accomplish with the service. I really like its integration with other web analytics tools, such as Adobe (Test &) Target. It means I can play back sessions of users who see the control and variants, which is super useful. We actually had issues integrating Clicktale with Omniture, although we eventually resolved it. We experienced a clash of cookies between the two tools, which meant the sessions in Clicktale weren't showing the right test experience (i.e. people who were allegedly shown the variant were appearing in the control bucket). I'd take a look at a few others. We also use FullStory, which doesn't have as big a feature set, but it's cheaper and covers the basics well. It helps add 'why' to the 'what', which adds a qualitative layer to our work. Analytics doesn't always give you a conclusive answer, so to be able to show actual humans doing stuff to prove our point in a real boon. "Clicktale-Utilised this software in a few website developments in conjunction with google analytics." The ability to track actual real user visits and replay them alongside a perspective on real world conversion funnels was excellent and complemented the google analytics software. Found that the product was very cost effective and informative and in particular the analysis of enquiry forms and the field number and types was particularly advantageous. The heat map was an excellent feature which we previously were using other software to address but clicktale offered more in its delivery of heat map analysis. Really liked the reach functionality as well this in conjunction with the heat map and user journey recording in fact we had 100% user journey recording was absolutely crucial in maximising our landing page effectiveness. I found that in its initial versions it was quite hard to build the conversion funnel analytics however this was resolved on the later revisions of the software. The costing model could have been more effective in relation to balancing our needs for review of multiple domains at a low cost/least cost style. The commercials could have been a little more flexible to address our requirements which changed as our usage of the product continued. Definitely one to have in your toolset in particular when creating or reworking websites and in particular when doing multivariate testing. Conversion efficiency and in particular realisation that minimising the amount of data collected on enquiry forms was extremely beneficial and I can see the increase in conversion after a rework of the enquiry forms. We now utilise a very simple 4 field enquiry form and our conversion rates have jumped impressively. We hacve found Clicktale to provide invaluable information to work alongside our analytics when looking at improving the conversion on our websites or for finding areas of forms that users are struggling to complete or understand. For example you can watch recordings of users filling in their details and hovering over questions they don't understand or looking for calls to action that aren't clearly positioned or labelled. By analyzing these recordings we have been able to make several quick wins to our quote and buy forms and as a result increased our conversion and profitablilty. It can sometimes take a while to tag up the whole site and when in the tool it's not always intuitive to find back the part of the site you are looking for. Depending on your business and what other tools you use, it's certainly worth having a look at. Performance of our our online products. We will have improved our conversion by 1/2 %. What I found most helpful is the ability to see exactly how every individual customer filled their cart and their complete journey to purchase. I like that I could choose to record triggered events and thus focus on certain aspects of the customer journey and find its pitfalls. Clicktale’s suite is highly sophisticated and at least in initial stages, their in-house analysts and CX experts provide valuable help in “reading” the data correctly. Clicktale helped us identify issues with form filling and form abandonment, both due to CX reasons and technical glitches. It would be nice if I could connect it to our stores on social media. I consider them a part of the conversion funnel, so that is something I feel is lacking. Any business that wants a complete view of their conversion funnel (so they can optimize and increase ROI) should take a look at Clicktale. The problem was that I didn’t have a way of understanding where users were dropping out from the conversion funnel - where the holes were. Clicktale helped me identify these problematic points, fix them and improve my conversion rates. "Great System for Digital Marketers"
I definitely like that I can get detailed, specific results on user traffic. I can easily identify the issues and make changes to it. Not only am I able to identify the issues, but the features allow me to better communicate website issues to my team. My team can easily see and understand what exactly is going on. For example, My team can easily see which pages are not getting very many visits and when a paged is visited a user is only there for a few seconds. This indicates that the page needs to be re-evaluated to make it more user friendly or even identifying whether or not that page is necessary on the site. Not recommended for businesses that do not have a focus on building awareness through digital medias. Also, recommended for e-commerce retail stores or bloggers - not so much for consulting, restaurant businesses; anything that does not have to do with selling a product through its website should not use this system. It gives us a key indication as to who our customers are so that we can better understand our target market. Some of the benefits would be it's affordable, easy to explain to others, and simple to use. The website has great ways of monitoring and converting site traffic. "A true way to convert traffic to customers"
The dashboard and interface has evolved over time and looks fantastic. 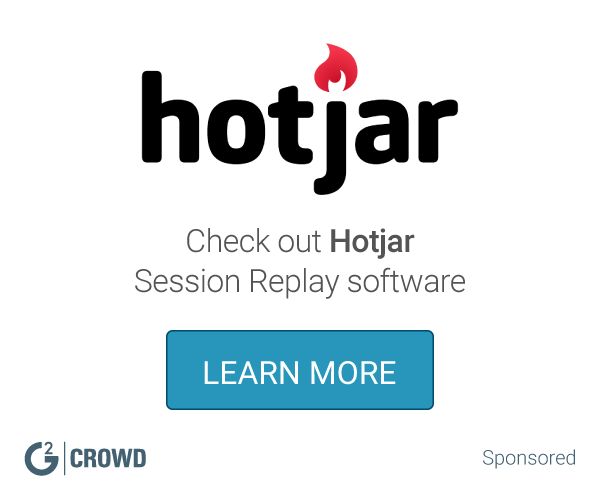 The granular heat-maps, funnels, segmentation and form analytics will help you recover revenue you wouldn't likely have picked up without the software. The product does not work quite as well on mobile as it does on tablet, mac or PC most likely due to visibility of the large volume of information on a small screen. I would definitely recommend ClickTale, particularly if your business is eCommerce and you are dependant on traffic to your site resulting in conversions. Compared to similar products on the market, it is also reasonably priced. We have been able to generate a better conversion rate on visitors to leads, acquisitions and subsequent sales. By integrating easily with google analytics, we now know where the best traffic sources are and how to use them more intelligently. "Customer Success Manager at Unbounce"
ClickTale empowers businesses to increase their ROI by continually optimizing how their own visitors/customers respond to digital experiences (from websites, to landing pages online). I've recommend them time and time again for customers that need data rich heatmaps and a 360 view of how visitors respond to their landing pages. Pricing is not very transparent http://www.clicktale.com/resources. It can be difficult to communicate to mutual customers. ClickTale helps businesses' improve their conversion rates and optimize their visitors online experience. 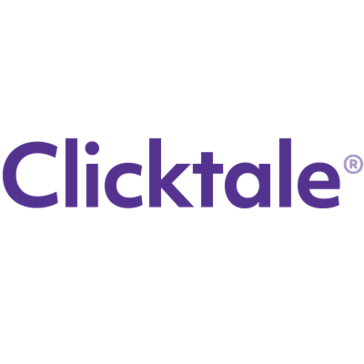 Clicktale is an invaluable tool in helping businesses improve their marketing ROI. "A great tool for web analytics"
Clicktale was a revelation when I first used it a couple years ago. It was pretty groundbreaking to be abe to watch in real time how users interact with our website, which parts they spent more time on, which part attracted the most clicks, all in a visual manner with heatmaps. The product is quite pricey. It supports only Internet Explorer and Firefox but not Chrome. This tool is worth its weight in gold as it paved the way for us to optimise the user experience by redesigning the site, and saved a lot time for trial and error in increasing conversion rates, thus improving our website monetization. The interface and visualization is great. * We monitor all Clicktale reviews to prevent fraudulent reviews and keep review quality high. We do not post reviews by company employees or direct competitors. Validated reviews require the user to submit a screenshot of the product containing their user ID, in order to verify a user is an actual user of the product. Hi there! Are you looking to implement a solution like Clicktale?